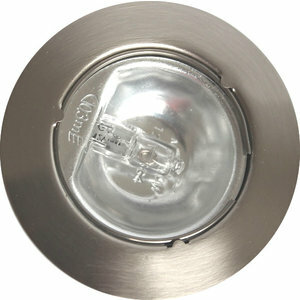 Round furniture recessed spot complete with a halogen g4 bulb 14 Watt eco (also replace for LED). 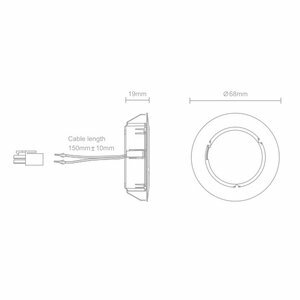 This recessed spot is made of metal in stainless steel look and the 14 watt eco halogen lamp is dimmable in combination with a dimmable transformer. Fixed furniture recessed spot made of metal and heat resistant plastic. The halogen lamp is protected by a clear glass with a diameter of 45mm. The furniture fixture has a maximum power of 12V 20 watts. 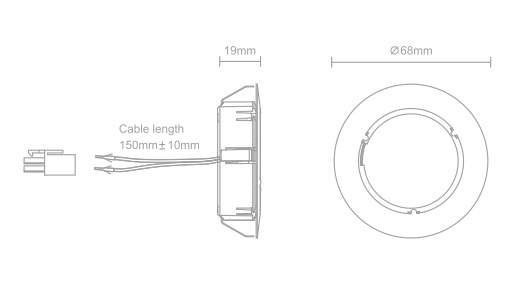 Also an LED g4 light is suitable for this furniture lighting, you can order this separately. The seal class is IP20. By means of a clamping ring you can easily remove the protective glass and replace the lamp. This furniture spot can be used for various purposes, such as lighting in kitchen cabinets, bookcases, display cabinets and as cove lighting. Equipped with a connection cable of 15 cm and mini AMP plug. For this furniture lighting you also need a transformer and extension cord. You can also order this via our webshop.